WASHINGTON (CNS) — Amid an outcry from members of the Republican party demanding answers to questions raised by a video of a Planned Parenthood physician talking about preserving fetal organs and tissue for researchers for a fee, a second video emerged July 21 of a different physician from the organization talking about the same topic. 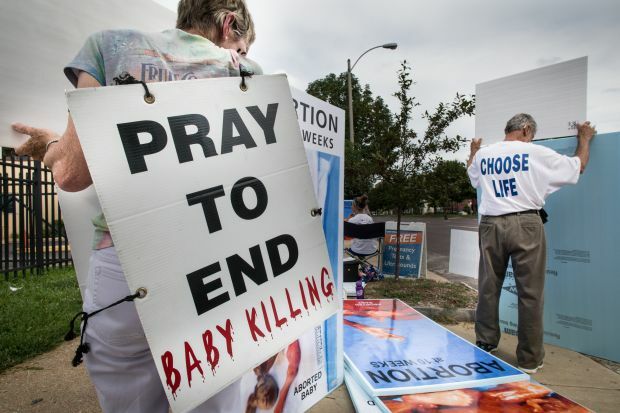 Lawmakers and pro-life leaders said the videos document the organization’s illicit activities in selling organs and tissue procured in abortions. Both videos were filmed undercover and produced by the nonprofit Center for Medical Progress. The new video shows a conversation between Dr. Mary Gatter, president of the Medical Directors Council of Planned Parenthood, along with two of the California center’s workers posing as executives of a firm engaged in the collection and selling of fetal organs to researchers. The eight-minute video, however, shows Gatter haggling over prices for an “intact specimen” and eventually settling on $100 per specimen, unless others in the business, she said, are receiving higher compensation. “If it’s in the ballpark, then that’s fine, if it’s low we can bump it up,” she said. “It has to be big enough that it’s worthwhile to me,” she added, laughing about wanting a Lamborghini. “Women who have been exploited by Planned Parenthood and who now see this video are unlikely to be laughing with her,” said Carol Tobias, president of National Right to Life. The sale or purchase of human fetal tissue is a felony punishable by up to 10 years in prison or a fine of up to $500,000, according to a provision in the Public Health Service Act. In the first video, released July 14, Dr. Deborah Nucatola, senior director of Planned Parenthood Federation of America’s Medical Services, casually discusses ways the abortion procedure can be carried out to best preserve body parts requested for use in research. On the day the Gatter video was released, however, the organization said it could not confirm its authenticity, because of heavy editing, the producer’s pro-life agenda and the fact the original footage had not been made available. According to David Daleiden, who was the project leader, the full video has been posted online at www.centerformedicalprogress.org and is more than an hour in length. He said anyone can watch it and judge for themselves if only the highlights were chosen. Republican political leaders at the federal and state levels have launched official investigations into the actions of Planned Parenthood, calling for its defunding. So far in 2015, the organization has received $46 million in federal funds; since 2012, it has received $207 million from the federal government. “Last week, I called on Congress to investigate these gruesome practices. The Energy and Commerce and (the) Judiciary committees have begun immediate investigations and I look forward to their prompt and thorough action,” said House Speaker John Boehner, R-Ohio. Father Frank Pavone, national director of Priests for Life, praised Boehner for his swift response and expressed solidarity with his actions. “Priests for Life will be working closely with our friends on the Hill to advance measures to defund Planned Parenthood,” he said. On July 22, Rep. Diane Black, R-Tennessee, and 80 co-sponsors introduced the Defund Planned Parenthood Act of 2015, or H.R. 3134, which would immediately halt all sources of federal funding to Planned Parenthood and its affiliates for a one-year period. Boehner also called on President Barack Obama to speak out immediately and order Planned Parenthood to stop such practices. U.S. Reps. Sean Duffy, R-Wisconsin, and Ann Wagner, R-Missouri, and 125 of their colleagues in a letter to the chairs of the House committees leading investigations, thanked them for their swift action. “We greatly appreciate your announcement that you will be launching an investigation and urge you to act swiftly to examine current federal laws and regulations in your committee’s jurisdiction, potential violations of current law, and identify areas where the law may be insufficient,” the letter read in part. Tobias said it is time to say “enough is enough” and said all activists and public officials need to make it a priority to end the public funding of the abortion industry.